Take a trip through time with Cadence as they survey over 100 years of vocal music in 50 minutes! Experience their vocal talents in styles spanning Gregorian Chant, Classical, Choral, Jazz, Doo-Wop, Rock and Blues. Expect high-energy antics, mind blowing instrument imitations and lots of audience participation. Impressive vocal arrangements, a splash of choreography and the soul of stand-up comics are combined in this lively performance that illustrates how the voice is the most versatile of all instruments. Cadence can custom-design a workshop for your choir or classroom of up to 60, or work with them to bring their repertoire to the next level. 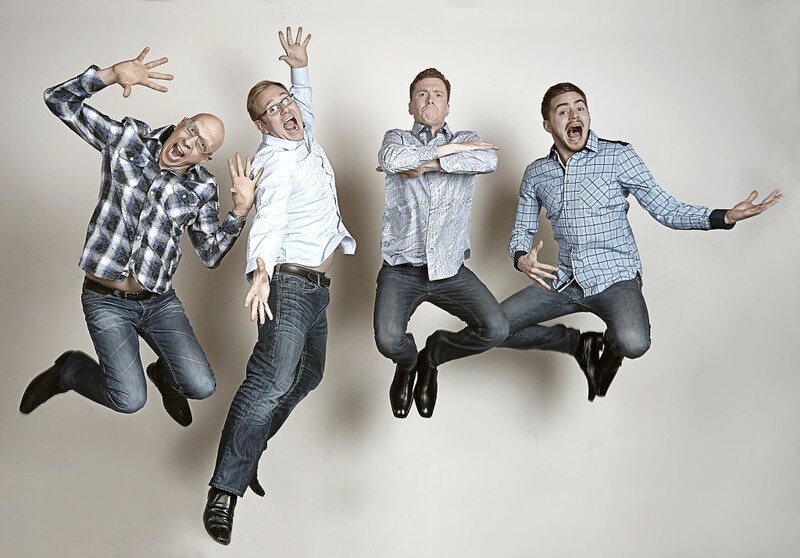 Typical workshops can draw from the following subjects: Warm-up Exercises, Tricks, Tips and Techniques, Vocal Percussion, The Art of Noise-Making, Vocal group Improvisation, Rounds, Rhythms and Circle Songs, and Musical History of Vocal Jazz: The A cappella Evolution. 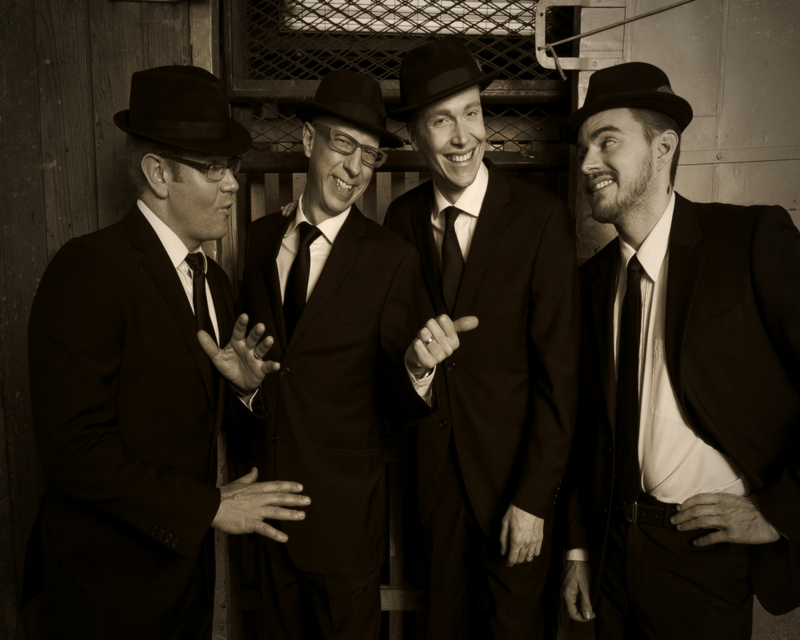 Cadence has been entertaining audiences worldwide for nearly 20 years with their innovative jazz arrangements, genre-hopping covers and eclectic originals. 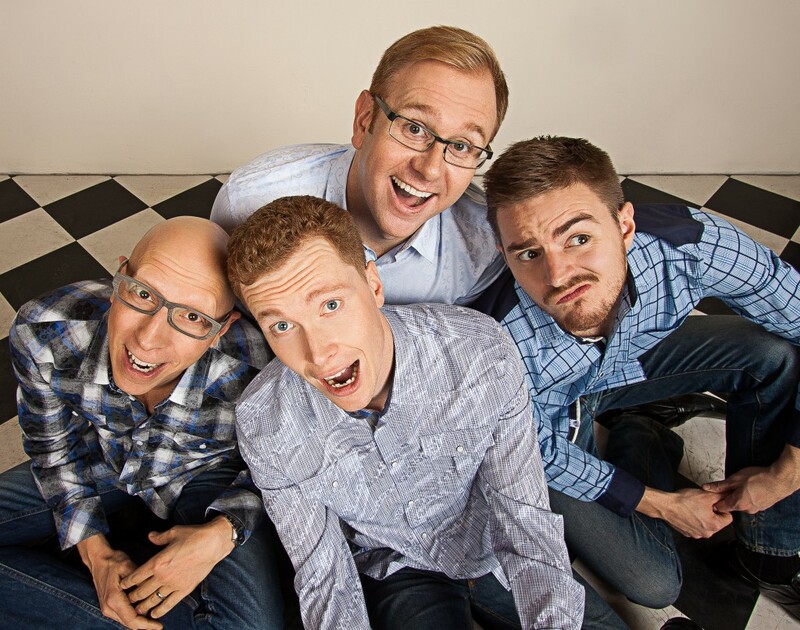 This quintessential a cappella quartet has played to sold-out concert halls and jazz festivals and has been featured on television and syndicated radio stations all over the world. Their three-time JUNO-nominated albums have been met with wide critical acclaim and continue to delight audiences of all ages.